Michael Zimmerman lost 54 lbs. with FOCUS T25. 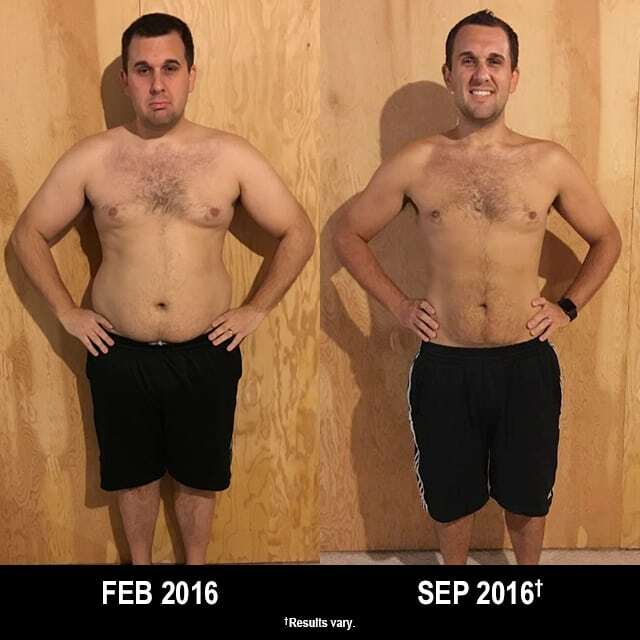 He entered his results into the Beachbody Challenge, and won the $500 Daily Prize for November 26th! Before starting the program, I wasn’t happy with my body at all. I had let the weight pile on over the years. My wife inspired me to make a lifestyle change. She wanted to start T25 and in the beginning, I was not too enthusiastic about it. However, as time went on and I began to see results, I became more motivated to continue the journey. I never really wanted to dedicate time and effort to a workout program. However, T25 was easy enough to fit into our busy schedule. Having my wife do the program with me and keep me accountable was also a big part of overcoming that challenge. T25 was very easy to fit into our schedule. It was challenging, but not impossible to complete. It was also very nice to have a modifier just in case something was a little too extreme for me at the time. I lost 50 pounds! I never dreamed I would lose this much weight when I started the program! I have changed my lifestyle. Doing T25 is now a priority for my wife and me. Because of the results of T25, we changed our eating habits. Losing 50 pounds has had a huge impact on the way I feel about myself and the energy I have throughout the day.